and social interaction for their loved one, preventing a premature nursing home placement. 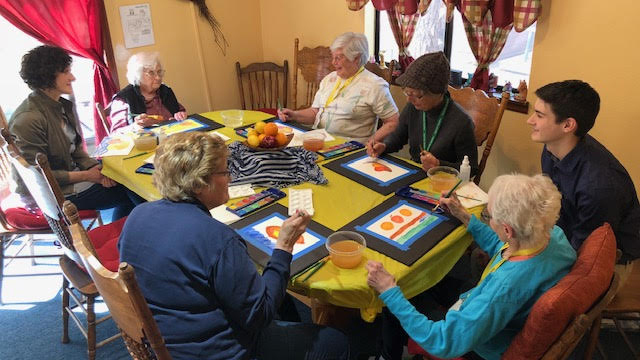 DayBreak continues to be Teller County’s first (and only) adult day program focusing on individual growth and tailored socialization for participants and respite for their caregivers. Our service area spans 3 counties which is a testament to the value of our one-stop, all-inclusive care model. 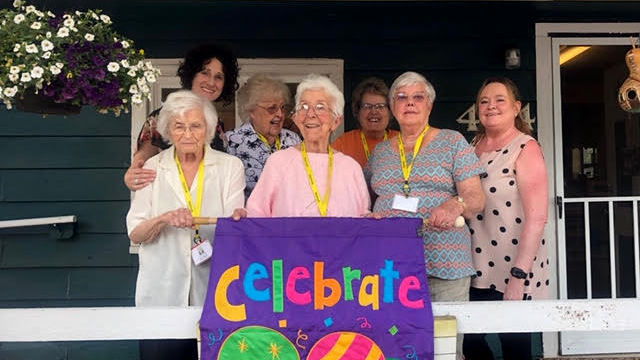 DayBreak is successful in offering education and support to caregivers while providing participants with a variety of opportunities including socialization, field trips, music and pet therapy, arts and crafts, exercise, and more. DayBreak has been embraced and supported by Woodland Park and our extended community since opening in May of 2015. Our volunteers, continual referrals, consistent donations, and collaborating partners have helped DayBreak to become a “home away from home” for so many families in need of respite and loving support. After much discussion and evaluating all viable options, DayBreak’s Board of Directors have voted unanimously to terminate the Capital Expansion Campaign to purchase and renovate 312 N. West St. in Woodland Park. DayBreak offers respite for the 24/7 caregiver while providing meaningful activities and social interaction for their loved one-preventing a premature nursing home placement.